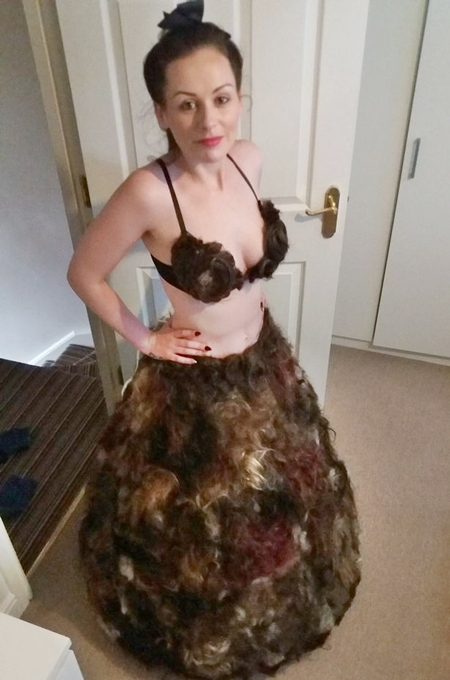 A 28-year-old mum-of-two, Sarah Louise Bryan, has become an internet hit after making a bra and skirt combo from public hairs of people's private parts sent to her after an appeal on Twitter. 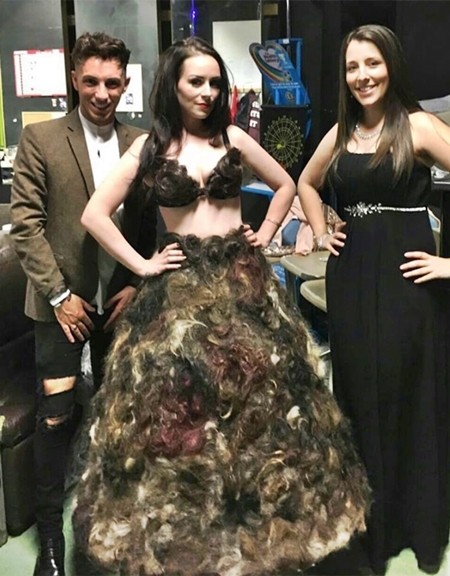 It was gathered that she spent six months collecting the pubic hair and storing it in her 13-year-old son’s bedroom before making what some people termed 'a disgusting dress'. The woman who revealed that she was inspired by Lady Gaga’s infamous meat dress, said: “I decided to make another design following the Skittles dress, I wanted to beat Lady Gaga’s meat dress. The woman received thousands of responses and messages from well wishers, as the former beautician wore gloves to handle the hair and also donned a face and eye mask after it made her gag. She said: “I set to work with my eye mask, breathing mask and thickest gloves I could find, because who wants to eat pubic hair?